Wall Street now sees an interest-rate cut as more likely than an increase for the Federal Reserve this year. Market watchers had been anticipating two interest-rate increases in 2019. Forecasts for growth, however, have dimmed in major economies including the US. Market watchers have long been anticipating a steady increase in borrowing costs. 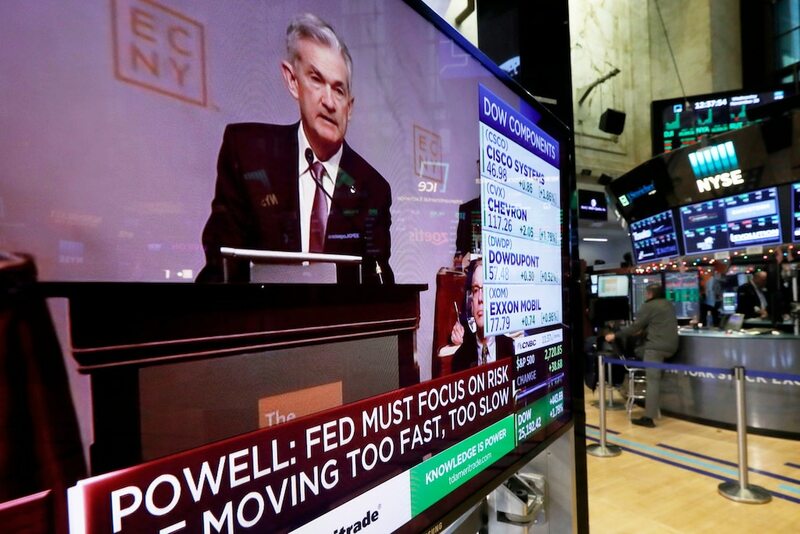 But as outlooks for the economy dim, they see an increasing possibility that the Federal Reserve could actually lower interest rates in its next policy move. Expectations for an interest-rate hike this year have fallen below those for a cut. Bloomberg data shows a zero percent chance the Fed raises rates this year and a 27.7% probability of a 25-basis-point cut. In January, the central bank signaled it could be nearing the end of its most recent tightening cycle. That could become more apparent Wednesday afternoon, when the Federal Reserve is widely expected to hold interest rates steady. Focus will be on how much growth is expected to slow this year and signals on future moves. “We can’t rule out a dot plot showing zero hikes, but the danger for the FOMC in taking such a drastic step is that markets would then take any soft data over the next few weeks as an open door to start pushing hard for easing,” said Ian Shepherdson, the chief economist at Pantheon Macroeconomics. The 12-member Federal Open Market Committee most recently voted to increase its benchmark interest rate by a quarter percentage point, bringing it to a target range of between 2.25% and 2.5% in December. Still, some see a possibility for at least one of the two rate increases that had been expected for the year. There have been signs of upward pressure on US wages, with average hourly earnings jumping in February by the most in a decade. “When it comes to making policy decisions, we interpret the Fed’s preference for patience as one of timing, indicating the current hiking cycle hasn’t ended quite yet,” said Charlie Ripley, a senior market strategist for Allianz Investment Management. The Fed is also expected to reveal details on plans to hold a larger balance sheet than previously expected. In 2017, the central bank began reducing the $4 trillion portfolio of US Treasury debt and other assets it acquired following the financial crisis.